You don’t need a physical guard at your business’s entrances and exits to monitor who comes and goes. Instead, make the most of your digital doorman. With remote monitoring and guarding, you can have more control over who enters your building. However, you need to develop a clear strategy to make the most your remote doorman. Start by having a camera angled so your digital doorman is able to see the lock, keypad or card swipe machine. This allows them to watch for any tampering. For instance, a criminal might try to block the camera while forcing the lock open. If they notice something, they could warn the person to step away from the door immediately. All you’d need is a two-way speaker to make this highly effective. Employees likely already have keycards to open doors, but what about visitors? Give your remote guards a heads up on anyone who is coming to visit. Have visitors press a button for entry. The guard then asks to see their ID to verify who they are. This limits unauthorized visitors from gaining access to your building. This is also effective for service entrances to ensure truck drivers or service companies are legitimate. Sometimes visitors go to the wrong entrance. This makes it difficult for them to find their way and may make them look suspicious when they’re actually just lost. Make the most of your digital doorman and improve visitor experiences by locking down any employee-only entrances and having your doorman tell visitors where to go. Visitors are able to go to the correct entrance and avoid any hassle or suspicion. It’s not unheard of for criminals to pose as legitimate visitors. However, instead of leaving, they stay inside your business to steal from you or cause other trouble. Remote guards are able to jot down when a visitor arrives and if they haven’t left in a pre-determined amount of time (your business might set average visitor times for an hour, for instance), the guard contacts you to see if everything’s okay. If the visitor hasn’t left when they should have, the guard can check other cameras to see where they are and what they’re doing. Despite how effective remote guarding is, they’re still not physically on your premises. However, if you have security guards or your own security team, your digital doorman can inform them of any suspicious visitors. This is ideal for businesses that allow open access to all visitors. If they notice the visitor acting strange, they can let someone know to keep an eye out. While the visitor may just be lost, it could be a sign of something worse. Either way, the situation is taken care of before it becomes a serious problem. For visitors that don’t have appointments, a remote doorman can quickly check with the relevant party at your business to see if the visitor should be allowed in or not. This is also a great opportunity for your remote guard to offer directions to the right office or area. In this instance, your digital doorman becomes part guard and part front-desk employee. Odds are, your business isn’t fully staffed 24/7. If it’s not, you may still have some employees that need access after hours for special projects or meetings. In this scenario, your remote guard is able to verify the employee’s identity and grant them access. For optimal security, the guard should have advanced notice of which employees should be on-premises after hours. This protects both your business and the employees who are working late. Have you ever considered the possibilities of adding remote guarding to your security strategy? Contact us today at 404-793-6965 to learn more about incorporating this option. Want to find out more about your biggest security vulnerabilities? 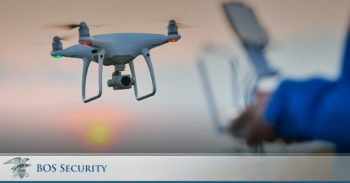 Get answers to those questions with our free Security Needs Assessment.